Michigan needs a point guard in the class of 2016 and the Wolverines stumbled upon quite a few new prospects during the two weekends of live evaluation play in April. One of those new names to pop up on the radar is Bryce Aiken. 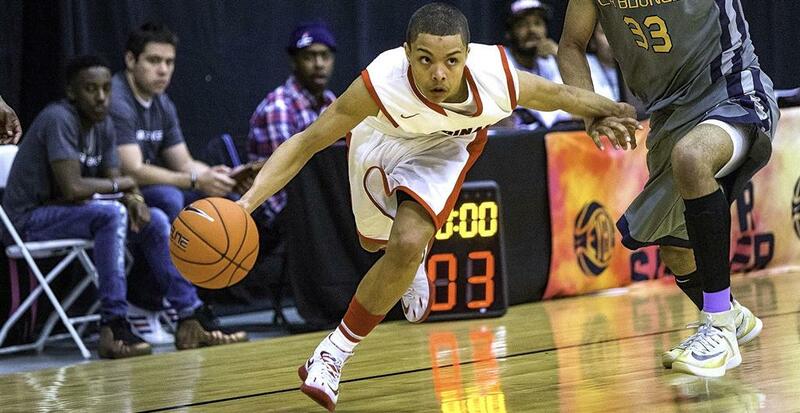 Aiken is a small point guard, standing 5-foot-10, who can fill up the score sheet in a hurry. 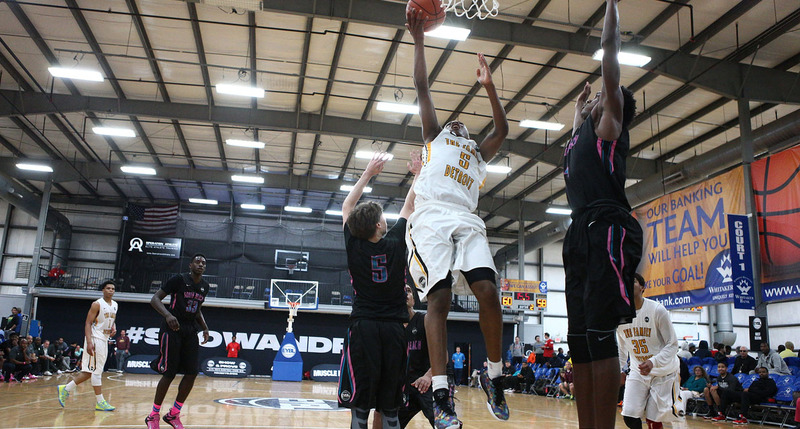 Aiken has seen increased interest this spring with his steady play in the Nike EYBL. He’s averaging 15 points per game in EYBL play, shooting 51% on twos despite his small stature and 41% on threes while handing out three assists per game. In front of John Beilein during a Saturday morning game, Aiken’s ability to get to the free throw line was what really shined. He attempted 10 free throws in a narrow win over Houston Hoops and has a free throw rate (FTA/FGA) of 59% this spring. A number of schools have shown interest in Aiken this spring, but he listed six as the schools recruiting him the hardest. Michigan’s interest sprouted after LaVall Jordan saw the point guard play during the first evaluation weekend. While the interest in Michigan is still new, it’s a school that Aiken is interested in hearing more from. He mentioned plans were already in the works to visit Illinois in May, but he also wants to trip to Michigan. With a fast-rising recruitment, Aiken still hopes to have his recruitment wrapped up before the early signing period this fall.